My dad allowed me the experience of growing up listening to that Kenny Loggins tune that makes it impossible to not stomp your feet. It was through the music that I also learned to love that 1984 Kevin Bacon film. Yea, it was cheesy in moments, but it was the overall affect it had on me as a viewer that really made it memorable. So, needless to say I was among the biggest of doubters when it was announced they would be remaking "Footloose". Why? There was no point to mess with the legacy of a little 80's film that the youth of that decade held so dear, but I assumed some Hollywood producer thought it wise enough that they could cash in on nostalgia and thus, we sit here with a remake of the film. Before I go any further, after seeing it, I have to say it isn't hard to give this thing a fair shot. Yea, it's pretty much the same movie, but it has an edge to it; an appeal that crosses the generational boundaries and allows a brand new group of teenagers to discover what it means to cut loose. In the screening I attended I sat between a man and wife who looked to be in their late forty's and had brought their kids. On the other side were two younger teenage girls. It was clear both groups enjoyed this just as much as the other. 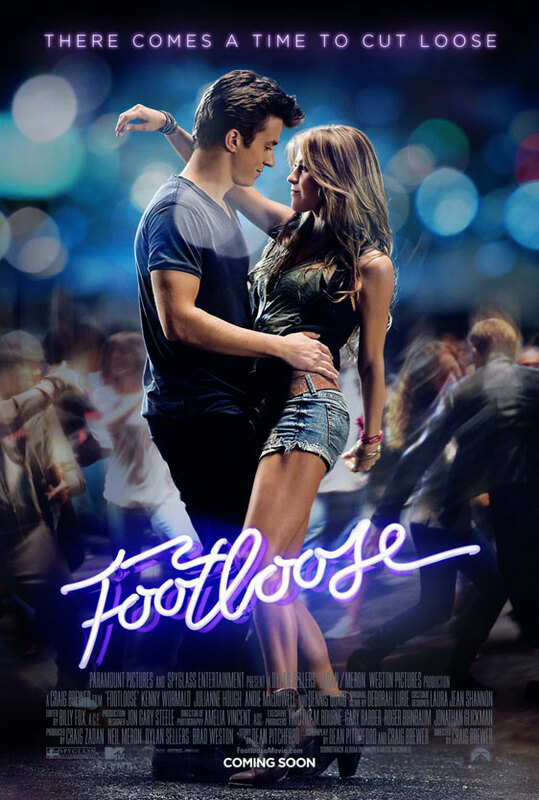 Whether it be for reasons of reminiscing or that first experience, the new "Footloose" has a little somethin' for everyone. (Miles Teller) in this remake of "Footloose". Like I said, we get the same basic story here with little alteration, city kid Ren McCormack is forced to move in with his aunt and uncle in a small town called Bomont after he loses his mother. Ren is a gymnast, a dancer, someone who has no intentions of being tied down or told how to live his life. That doesn't make him disrespectful or any kind of trouble, he is a good kid, but his reputation precedes him in most cases. Upon first seeing the trailer for the film I feared the worst after seeing clips of newcomer Kenny Wormald's performance. He seemed a little stiff, as if he were trying to hard, but the former Justin Timberlake back-up dancer brings his A-game and delivers a performance that is both bombastic and subtle. He handles the wide range of emotion and sensation the audience should receive from the movie with ease and in those little iconic moments of Bacon-dom he gets it right. Julianne Hough adds a nice amount of sass to the tone as well as the preachers daughter Ariel Moore. Hough hasn't yet had her moment to shine outside of her comfort zone, but this gig points to good things for her. We knew the girl could dance, but it was if she could pull off the troubled teen persona that made me wonder. As with Wormald, I can't help but to give her kudos. What director Craig Brewer really gets right though is the supporting cast. He has fleshed out these other characters with actors that feel genuine, truly southern and whether it be great touches like Ray McKinnon as Ren's Uncle Wes or Dennis Quaid as Reverend Moore, they all contribute to the amount of heart this film has that puts it right up there with the original. MacDowell) discuss their daughters behavior. What is really a treat about this new "Footloose" is the fact it doesn't care what you think about it. This care-free attitude is no doubt a result of Brewer's decision to take on the project and while paying plenty of homage to the original allows it to stretch into today's cultural scene and grab some dancing styles. What might be my favorite aspect of the film is the incorporation of hip-hop, country line dancing, and just pure all out rhythm that motivates everything our protagonist does. The film is centered around that timeless need to live for the moment and make it memorable and in doing so Brewer, as he has done with his two previous films ("Hustle & Flow" and "Black Snake Moan") we see people dealing with tragedy in their own way while also realizing the effects those choices have on other people. While that may make this sound a heavier film than anticipated, don't fret, there are plenty of laughs to be had here. The real shining star though ultimately goes to Miles Teller as Willard. The guy steals every scene he is in and allows a better balance for the film overall. Teller is a gifted actor who knows how to serve the story and he is able to support Wormald's performance in a way that makes the whole affair come off as more credible, something the original was slightly lacking in. 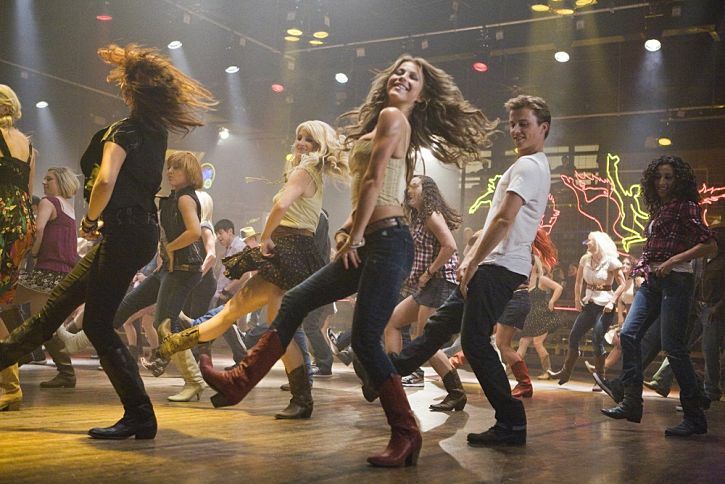 I realize there may not have been a real reason to remake "Footloose" but truth is, they are going to happen. We will likely see "Flashdance" and "Dirty Dancing" remakes in the near future, but if they are going to happen, truth is you could do much worse. Walking into "Footloose" you know what to expect and at the very least you get that. In my case though, I really felt a sense of fun. In fact, the entire theater did. As the high school seniors on screen reared up for their first real "prom" you could taste the excitement; and when that new version of Loggin's ole' foot stomper kicked in the entire, packed theater mind you, began to clap. Literally. This turned the film into an experience. A week ago I had no desire to see this film, it was an unavoidable mess in my opinion. My mind has been changed, director Brewer did a fine job and paid tribute in just the right ways while expanding on the original in aspects that only improved it. There is nothing more you could ask of a film such as this, and I can't help but to think what a strange situation this must have felt like for everyone working on it, to have to know people are rooting against you but to still come out, prove them wrong and on top of that, leave them with the best feeling they could possibly feel as they leave the theater: the need to dance.